Please note: item comes bagged, not in Playmobil blue boxes. 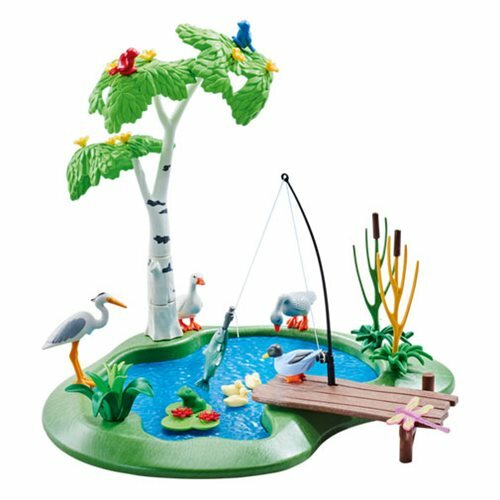 Fishing is fun, and a lot dryer with Playmobil's 6574 Fishing Pond! A fishing rod, a tiny pier, a stork, birds, and a horrible goose are there to watch you hunt your catch today. It's the perfect accessory for any Playmobil figure (sold separately) and also a great addition to any display. Ages 4 and up.